Shopping for Justice League Plush? Unite the greatest heroes from DC Comics! 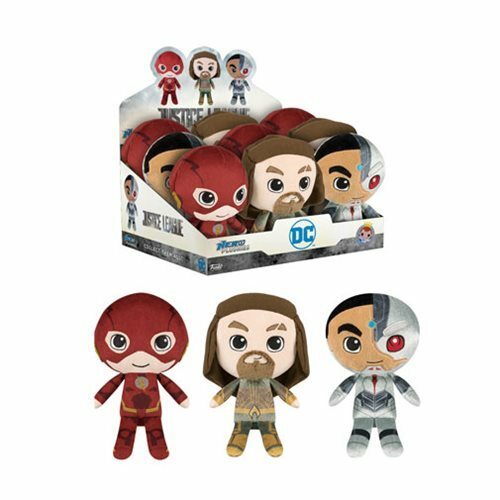 From the 2017 Justice League film, comes a wave of plush figures based on the movie, including Aquaman, Flash, and Cyborg! Each plush measures approximately 8 1/2-inches tall and comes packaged with a hangtag. Collect them all! Ages 3 and up. The Justice League Plush Display Case includes 9 plush.